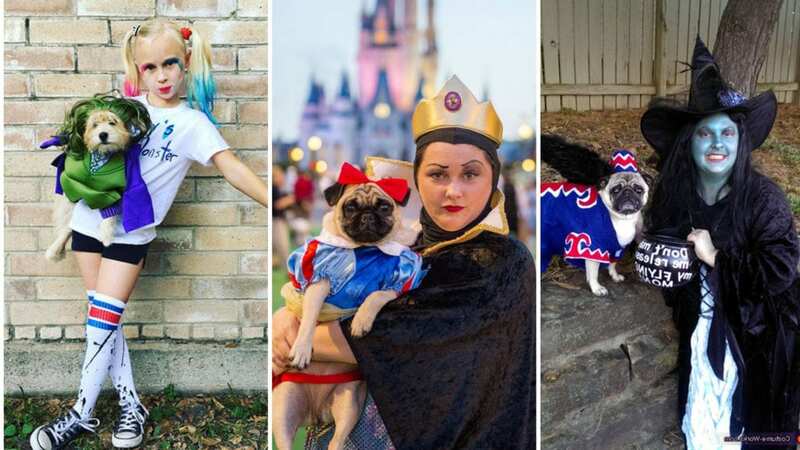 For those who own pets you may be thinking about getting your furry friends involved in a bit of Halloween costume action this year. 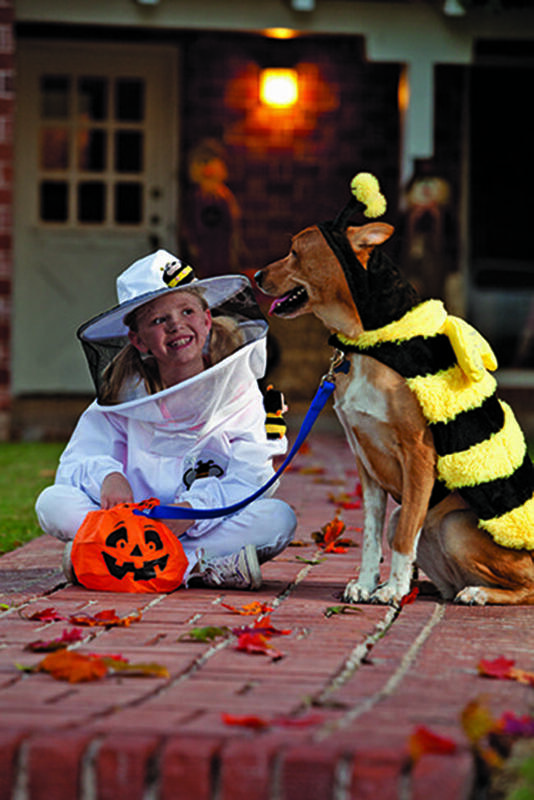 Pet and owner Halloween costumes are big business and there are fantastic choices for pet Halloween costumes out there. But you want to match right? 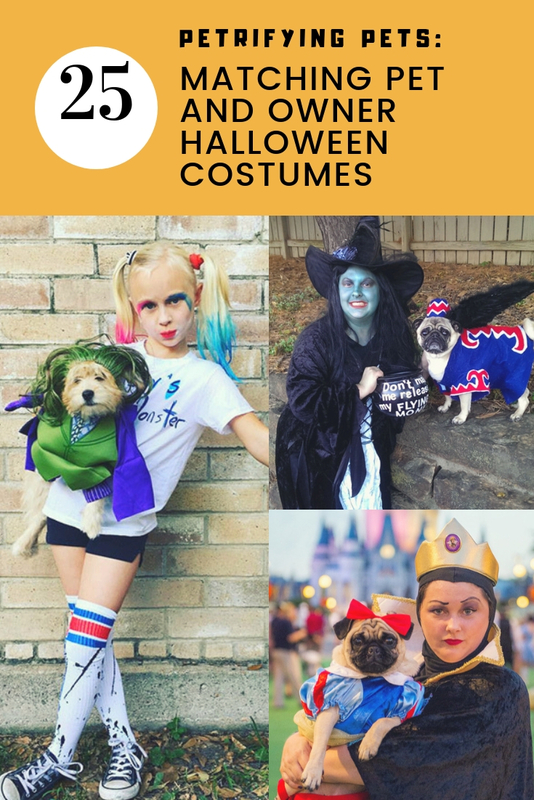 We have put together a list of our favorite pet and owner Halloween costumes to give you some ideas and ensure that you have a spooktacular Halloween. 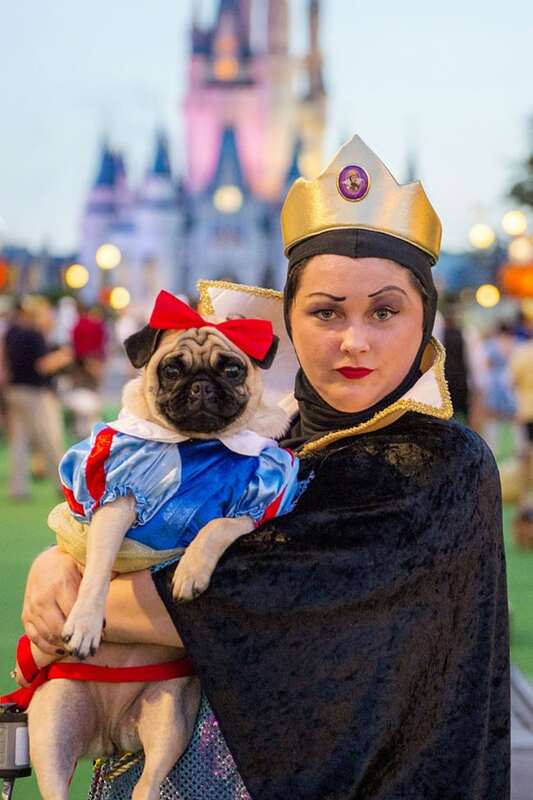 This fantastically wicked Evil Queen and her cute as a button Snow White companion would surely win 1st prize for best costume at any Halloween Party. 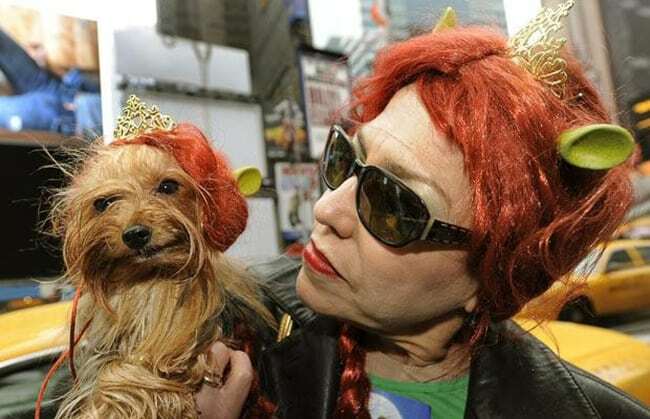 “Mirror, Mirror on the wall who’s the fairest of them all?” – The dog, definitely the dog. Down at the bottom of your garden when your not looking the innocent looking gardens gnomes come to life and wreak havoc and mischief across the land. We were lucky enough to find some photographic evidence of this magical occurrence. And what a splendid family of gnomes they are! 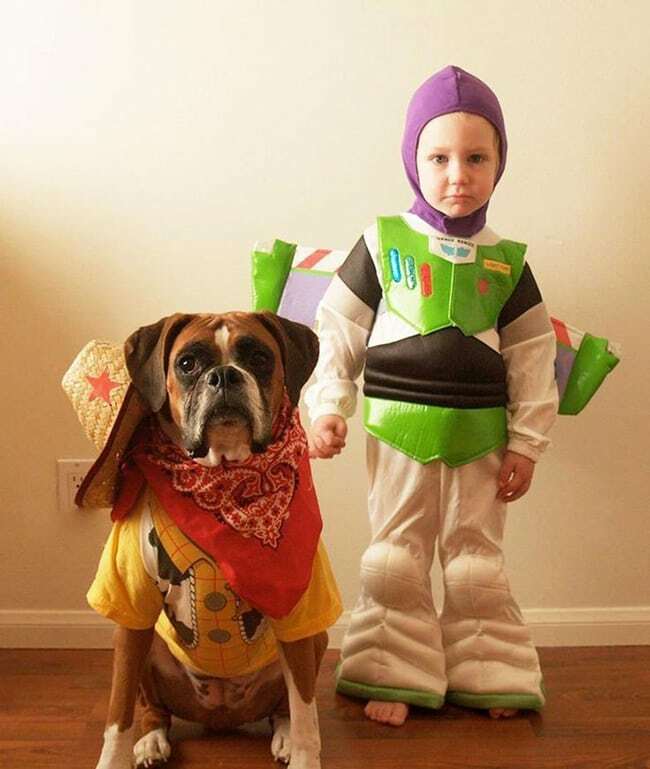 This duo has certainly embraced the roles of Woody and Buzz Lightyear. A small town sheriff and space ranger from galaxies afar combined together make them an unstoppable force and ready for whatever adventures await. 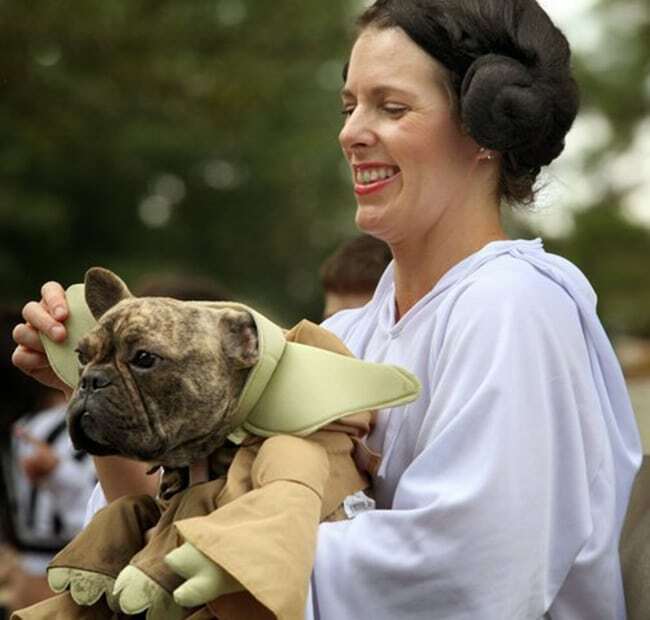 A long time ago in a galaxy far far away… an owner and her dog dressed as Yoda and Princess Leia and began the ultimate task of fighting the Alliance for a better future. 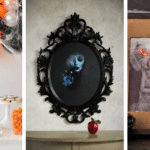 Become a Jedi Master and fiercest of all the rebels in these sci-fi themed Halloween costumes. Pizza Lovers unite! Now you and your four-legged friends can match in style and show your love of this deliciously cheesy food by wearing it! Seriously though these two are just killing it! 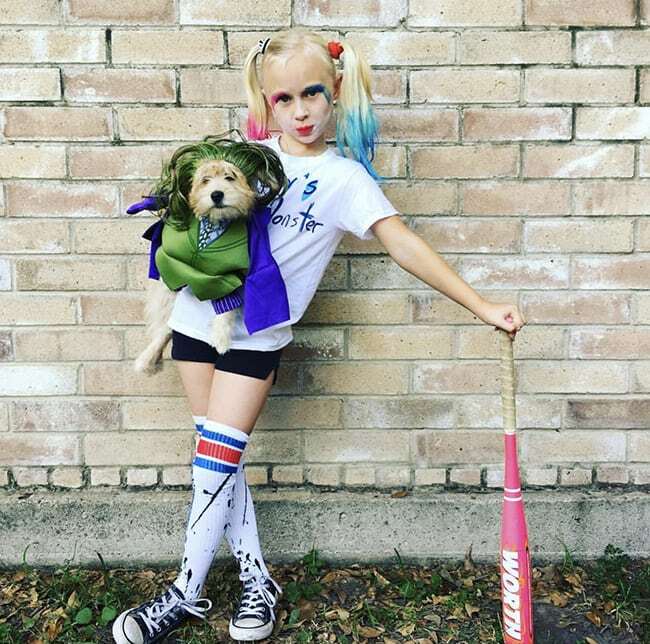 These pet and owner Halloween costumes are on point! Two fellow evil villains ready and set to unleash chaos across Gotham City and beyond, inspiration from Suicide Squad. If you’ve always wanted to be a mermaid since first watching Disney’s The Little Mermaid than this is your chance! 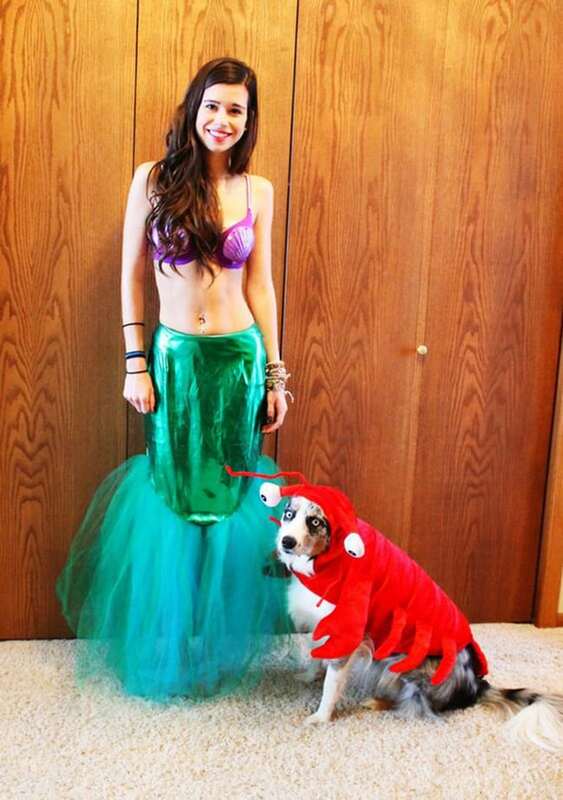 Bring out your inner Princess of the sea Ariel and even get your pet involved and dress them as Sebastian. Live out those mermaid dreams, just don’t forget your Dinglehopper. “You have the right to remain silent” barked the adorable furry police officer. 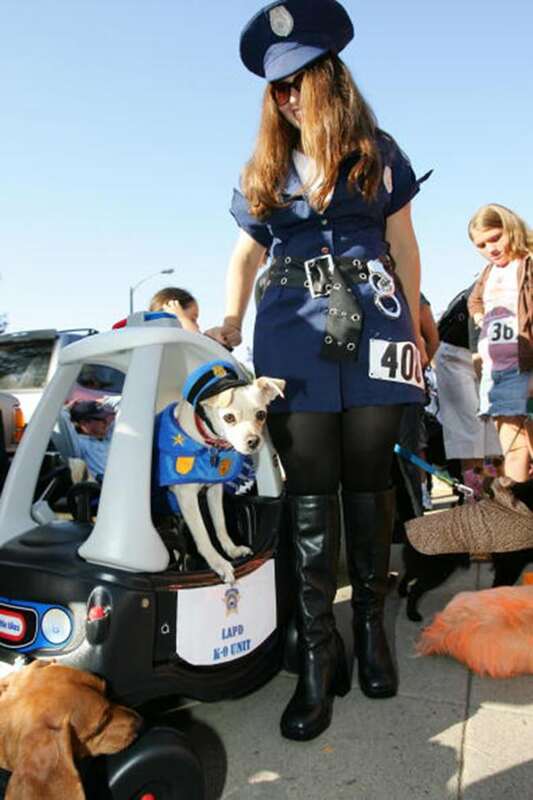 No criminal will be safe on the night of Halloween with this pair of law abiding officers. Daenerys Targaryen, Mother of Dragons and one of her misbehaving dragons. 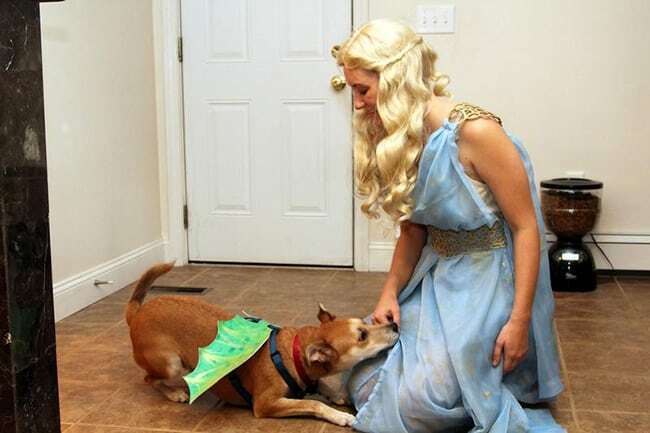 This set of Halloween costumes is a must for all Game of Thrones fans. Become Daenerys Targaryen even if it’s just for one-night and enter a world of fantasy and adventure. The devil is the classic look out of all of the Halloween costumes. 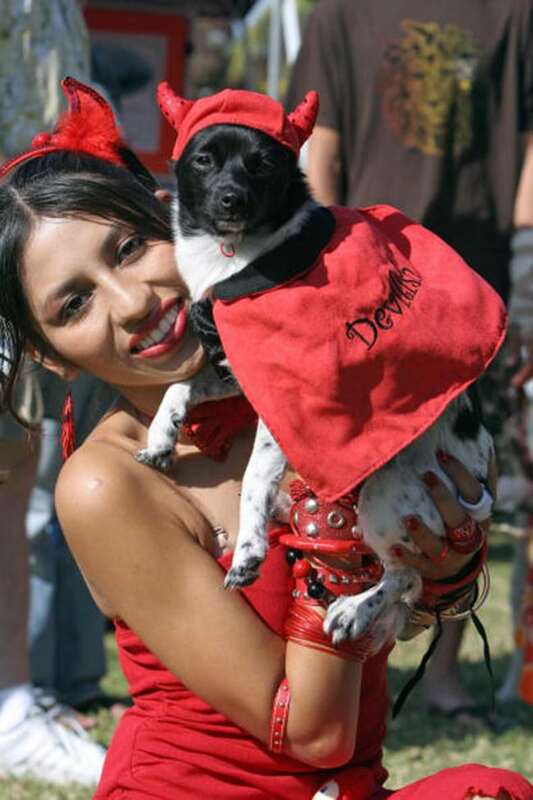 Look how devilish this owner and her dog looks. The dog’s little horns and cape, it’s just too much. 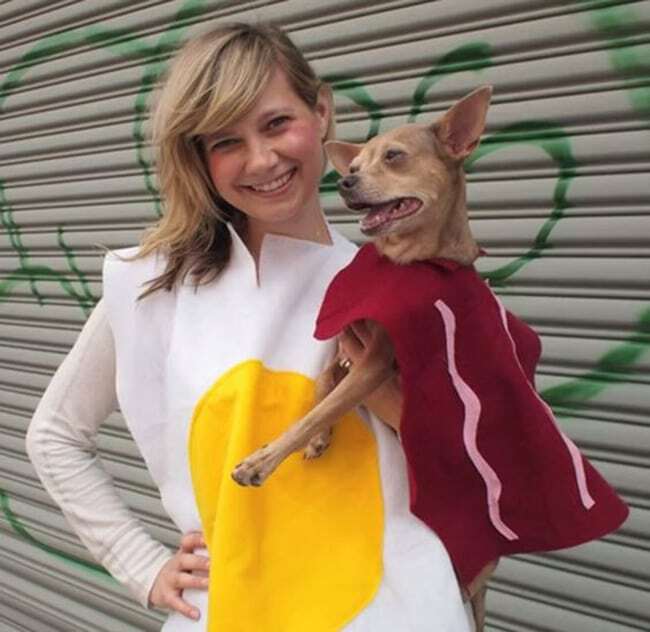 For those of you who want to show more of your humorous side, this pet and owner friend egg and bacon combo is just the ticket. 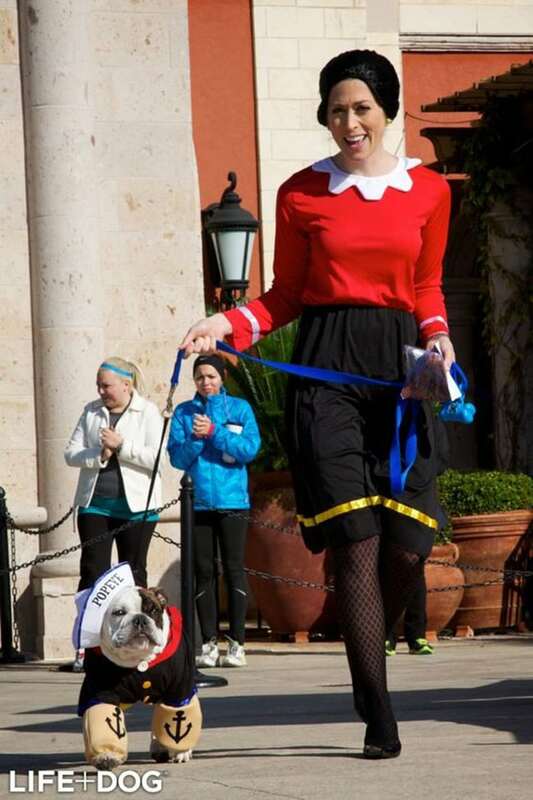 These Popeye and Olive Oyl Halloween costumes are just genius! The dog even has the tattoos on his legs and his owner looks so happy to be rocking her Olive Oyl style. 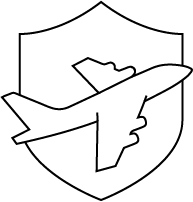 Well done guys, well done! These guys look fantastic! 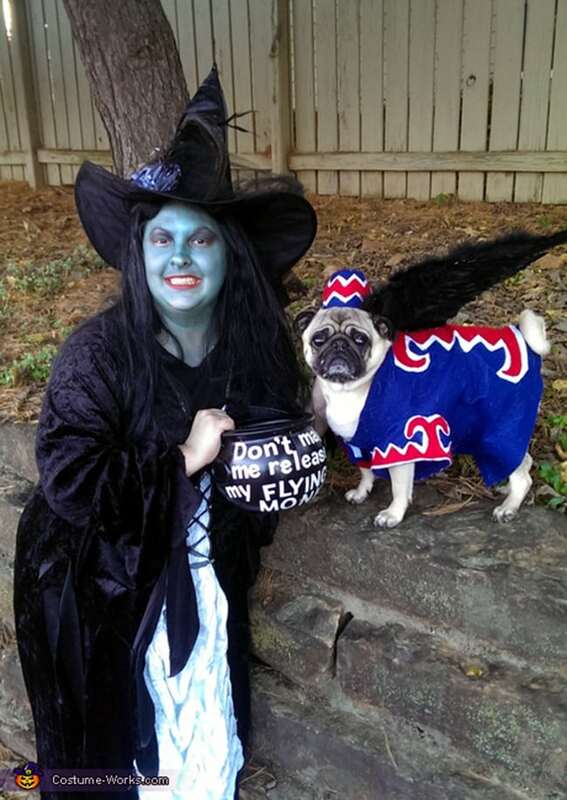 The Wicked Witch of The West and her winged monkey have to be right up there for the most original idea for a pet and owner Halloween costume. Where’s Waldo? 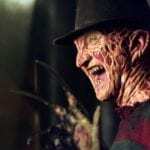 There he is! 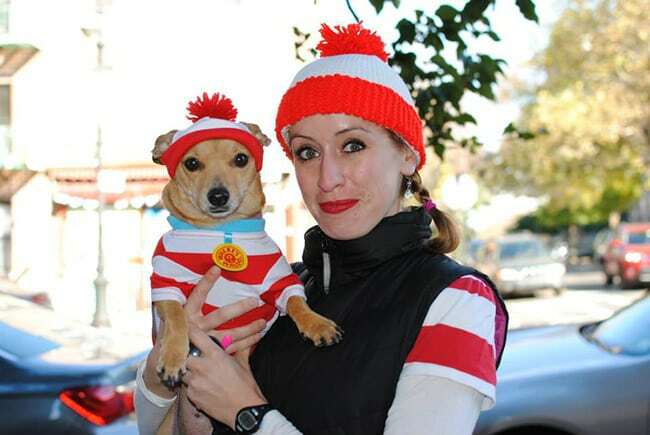 This pair of Waldo lookie-likes are double trouble and look great repping the Waldo style. 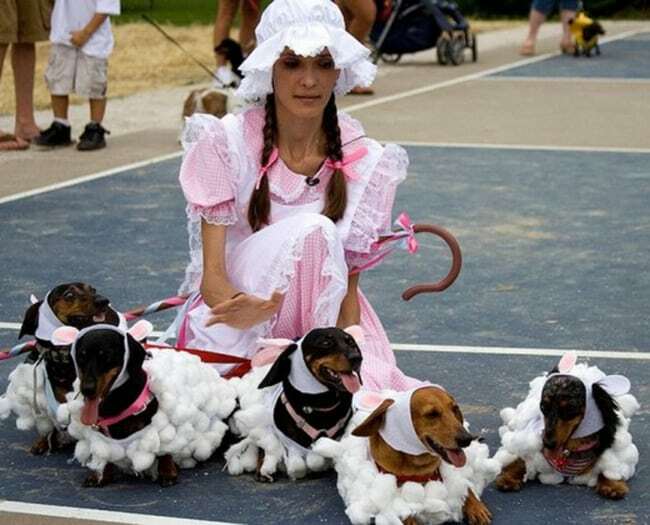 Little Bo-Peep lost her sheep and doesn’t know where to find them.. oh hold on there they are and they seem to have a rather uncanny resemblance to a pack of super cute Dachshunds. 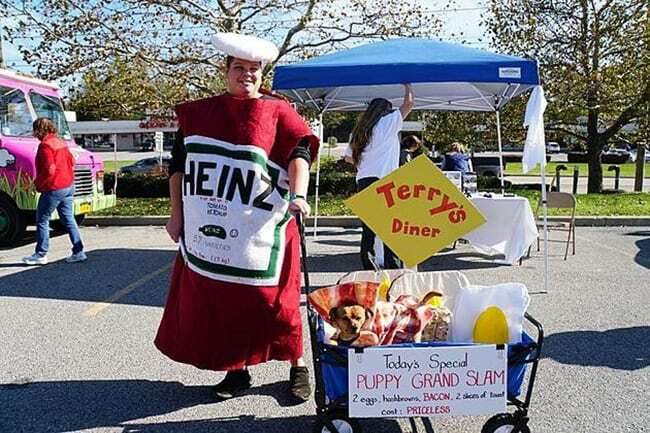 A pet and owner Halloween costume that can’t help but make you laugh. When neither of you wants to dress up as Shrek you’ve just got to let it go and allow both of you to shine dressed as Princess Fiona. 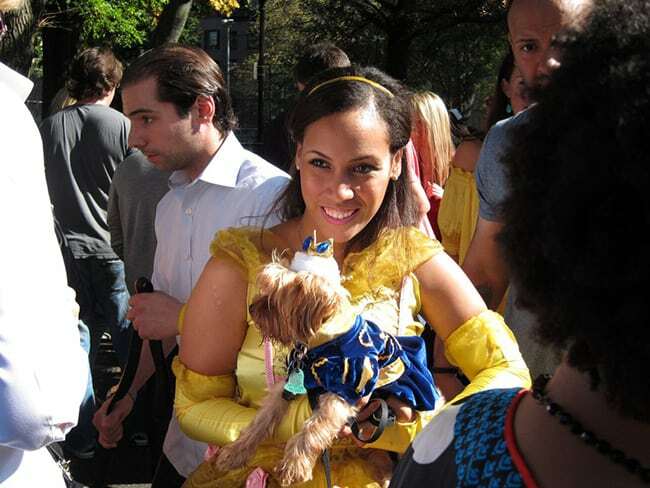 Show up to a Halloween party wearing this Belle and Prince Charming Halloween costume and you will most definitely turn heads. This owner and pet are so delightful. 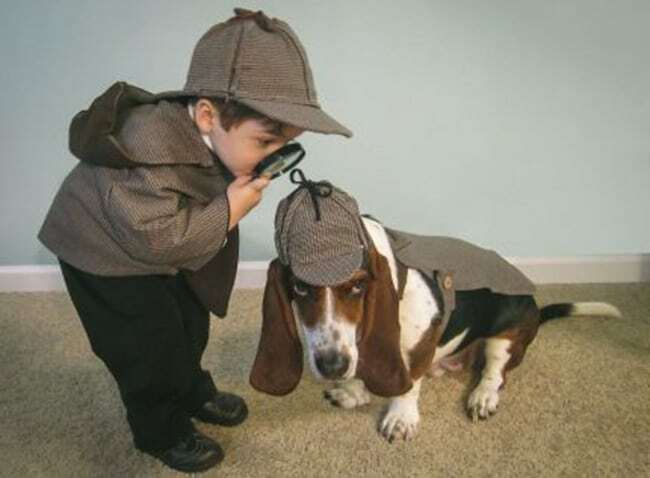 A playful Halloween costume that can be enjoyed by both owner and four-legged friends. 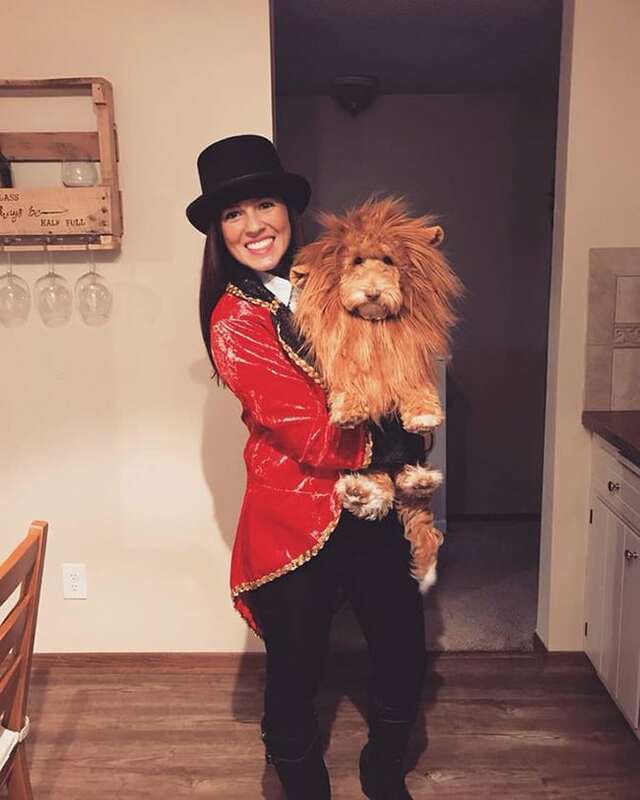 This ringmaster and lion Halloween costume will be the envy of many for years to come. How cute is this pair! Never will a mystery go unsolved again with these crime-solving duo at hand. Mickey Mouse ears and Minnie Mouse dresses are what it’s all about if you are a massive fan of Disney. 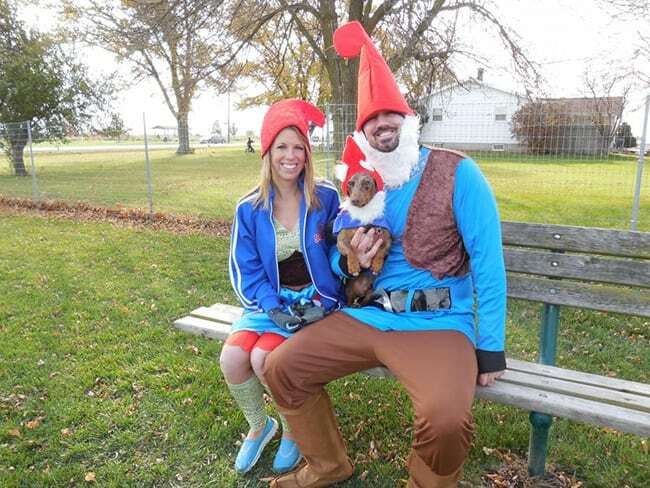 A Halloween costume idea that will make you smile as soon as you put it on your pet! Minions are nonsensical creatures that aid evil super villains in their ghastly plans to destroy/takeover or rule the world. 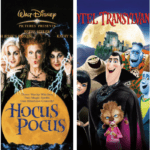 Make Halloween party goers laugh, smile and squeal with delight as they set their eyes upon you and your minion pet! Would you like Ketchup with that? 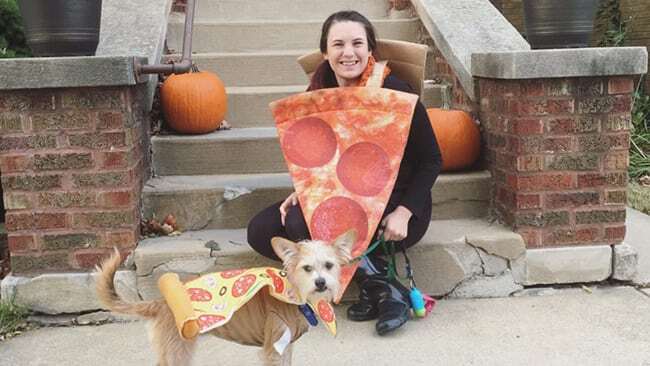 If you have more than one adorable pet to dress up this Halloween, food-themed pet Halloween costumes are the best! A family that cosplays together stays together. 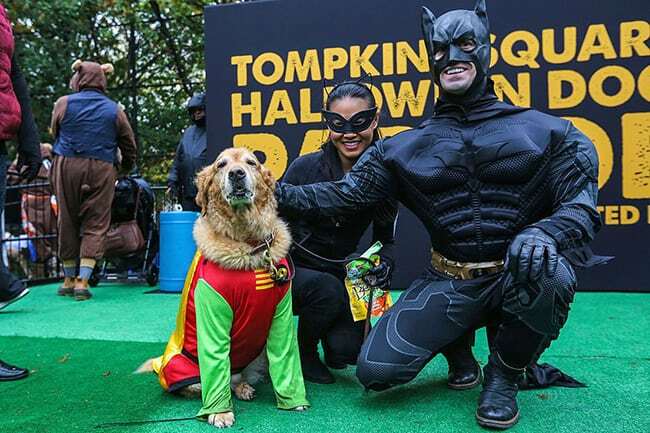 Batman, Robin and Catwoman together make a great family Halloween costume idea, not to mention a seriously awesome family photo! 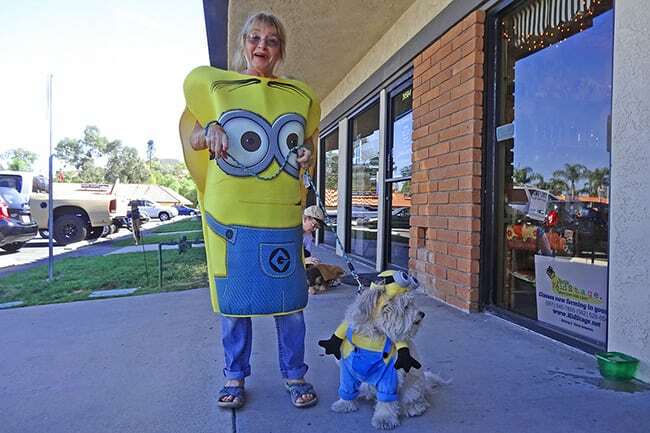 Finally an owner and her pet cat dressed to the max for Halloween! 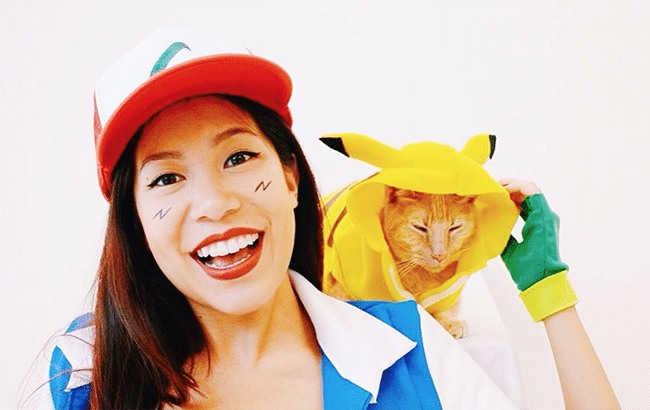 Ash Pokemon Master with his faithful sidekick Pikachu will make a first-rate Halloween costume for any pet owner this Halloween. 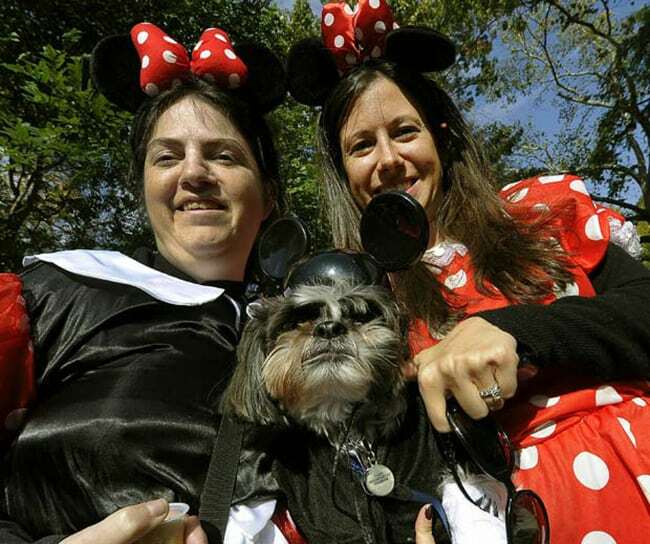 Which is your favorite of these matching pet and owner Halloween costumes? 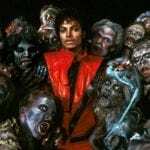 Let us know on social media or send us your pics of you and your pets wearing costumes, just tag @topfivecome and, #top5pethalloween.